(AP) BRUNSWICK, Ga. - Georgia man Guy Heinze, Jr. was convicted Friday of killing his father and seven members of his extended family in a mobile home they all shared, though prosecutors agreed not to seek the death penalty. Heinze, 26, of Brunswick was found guilty of eight counts of malice murder. But the judge in the case said shortly after the verdict was announced that prosecutors agreed not to seek the death penalty. 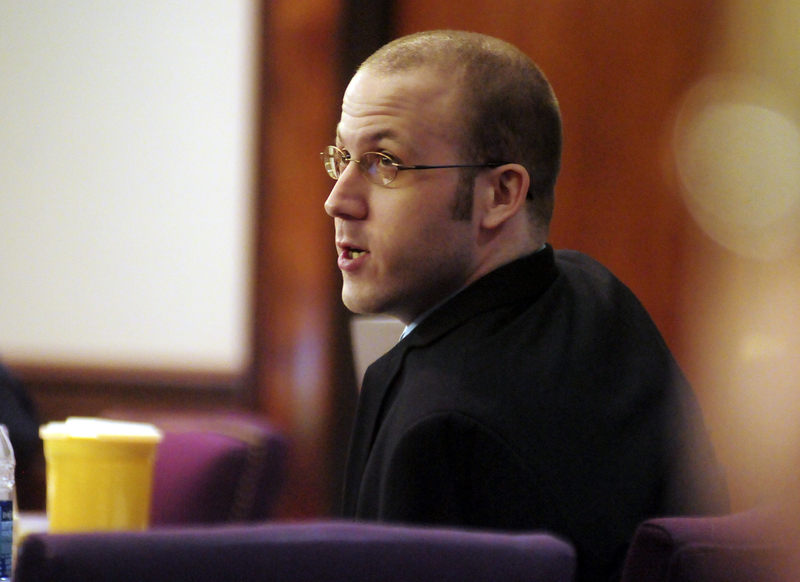 Police charged Heinze with the 2009 killings six days after he reported finding the bodies. In a frantic 911 call he cried: "My whole family is dead!" Heinze's younger brother, Tyler Heinze,started crying and was escorted from the courtroom after the verdict was read, yelling expletives as he left. Prosecutors said Heinze had been smoking crack cocaine when he attacked his father and other members of his extended family as they slept. Police found the victims scattered among five rooms of the cramped mobile home. Autopsies showed they suffered more than 220 wounds combined and each died from skull and brain injuries. No murder weapon was found, but police suspect they were beaten with a shotgun barrel. Heinze's defense team argued one person couldn't have slain so many people without anyone escaping. They worked to persuade the jury that police ignored alternate suspects and evidence as they rushed to build a case against Heinze based entirely on circumstantial evidence. Heinze's lawyers also said there was no compelling motive for him to kill his father, 45-year-old Guy Heinze Sr., and the others. Rusty Toler Jr., 44, was slain along with his four children: Chrissy Toler, 22; Russell D. Toler Jr., 20; Michael Toler, 19; and Michelle Toler, 15. Also killed was the elder Toler's sister, Brenda Gail Falagan, 49, and Joseph L. West, the 30-year-old boyfriend of Chrissy Toler. Her 3-year-old son, Byron Jimerson Jr., was the sole survivor but suffered severe head injuries. Prosecutor John B. Johnson told the jury in his closing argument Wednesday that a fight over drugs probably sparked the killings, which happened sometime between midnight and 5:30 a.m. Police believe Heinze killed Rusty Toler Sr. with the barrel of a shotgun in the closet of the bedroom they shared because Heinze wanted to take a bottle of painkillers prescribed to one of Toler's sons. Afraid of being caught, Johnson said, Heinze then "goes through the house - angry, mad or whatever - and kills them all." Heinze's lead defense attorney, Newell Hamilton Jr., told the jury it was hard to believe Heinze would kill eight people he loved over a bottle of "weak painkillers." Two defense experts testified there must have been more than one killer in the house. A former police detective estimated three to five attackers committed the killings. Heinze told police he was out all night and found the bodies when he returned home after dawn. Blood on Heinze's shorts, undershorts and shoes was matched to four of the victims, though none was found on his shirt, hands or face. A defense expert testified the blood was smeared, not spattered, indicating it must have gotten on Heinze's clothes when he found the bodies hours after the killings rather than as they were being committed. Police said Heinze also left a clue in his 911 call, in which he said of the victims: "It looks like they've all been beaten to death!" Investigators testified the victims' wounds were so grievous that police initially thought they had all been shot. Evidence showed police swabbed Heinze's hands to test them for gunshot residue. Investigators found Michelle Toler's bloody cellphone in Heinze's car and a shotgun with Heinze's bloody palm print on the stock in the blood of one of the victims. Heinze told police he tried to hide the gun from them because it was stolen, but a background check showed one of the victims legally owned it. Still, the shotgun was ruled out as the murder weapon. Police concluded the victims were probably beaten with a second shotgun after they found its broken stock by the elder Toler's head.